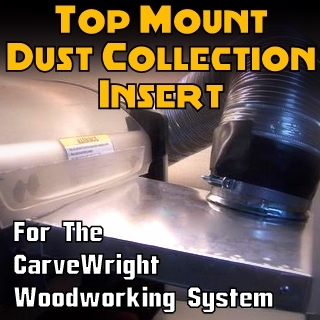 CarveWright's revolutionary carving machine has just become even more revolutionary. The STL import software gives the user the ability to import 3D models as STL's, slice them up for carving and reassemble them into a physical model. 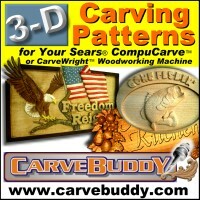 It's adding a whole new dimension of possibilities to the CarveWright System. As all CarveWright software, we strive to create the most intuitive and easy to use software solutions on the market. 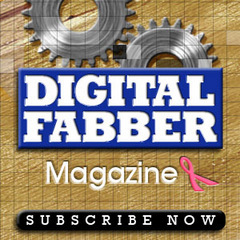 See all the Tutorial video's and see how we are revolutionizing 3D fabrication. The STL Importer is a new feature for the CarveWright Designer software, which allows users to convert 3D STL models into patterns for the use in the CarveWright Designer software. Now you can take your 3D computer models and make them into 3D physical models! Unlike other CarveWright features, this feature may be used standalone to slice STL models and output the pieces into new STL models. Note: Two e-mails will be sent when purchased. The first e-mail will be an invoice showing the purchase details. The second e-mail will contain the instructions and a Software Serial number used when registering the software modal. In order to use the STL Importer, the install computer must be running version 1.150 or later of the CarveWright Designer Software. This software is NON-TRANSFERABLE and NON-REFUNDABLE. Have you tried this new software? And if so, how did it work for you? Before spending the bucks I'd like to hear from someone, preferable someone like yourself who has used the CW machine for sometime, as to whether or not it's worth it. I can see where it has potential, but potential isn't reality. And I've had enough issues learning the basic Designer software. Would sincerely appreciate your comments or at least pointing me towards someone who can comment on having used this new software package. Back in October of 2009, I asked a question of you as to what you thought of this new STL software and whether or not you thought it was worth, from a users point of view, spending the bucks for this upgrade. I know you're a busy person and sincerely appreciate what you've done with this forum and for use CarveWright users. Would you care to comment further on STL? I note in the lastest newsletter that this software is on sale for $199.